Lu Yanshao painted within the classical tradition, and his own style is noted for the diagonal sense of movement, also evident in this work. 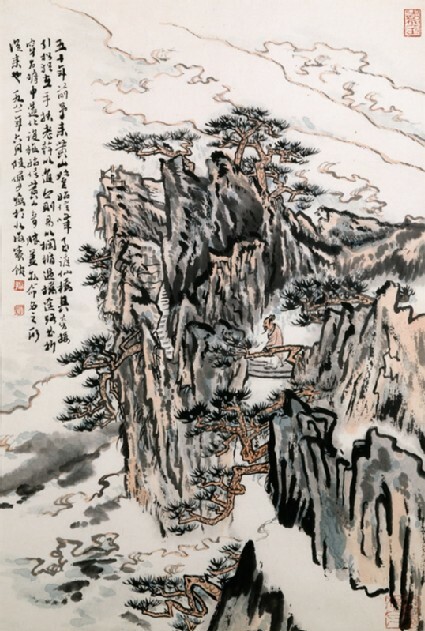 The inscription discusses Mount Huang in Anhui province, the sacred mountain Lu Yanshao first visited as a young man and which is depicted in many of his landscapes. 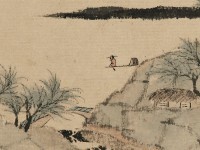 Lu Yanshao painted within the classical tradition and his own style is noted for the diagonal sense of movement evident in this work.